Scotland’s independent consumer advocate has pledged to put consumers first in the regulated industries of energy, water and post. 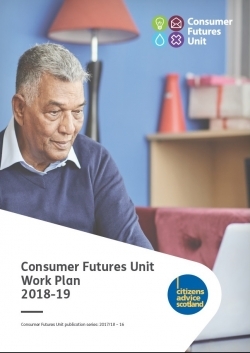 The Consumer Futures Unit of Citizens Advice Scotland has outlined its priorities in its work plan for 2018-19. The policies and practices adopted by business, regulators and government are more likely to be successful if they are designed around the needs and aspirations of the consumers they affect. The CFU offers consumer insights to evaluate the impact of current approaches and to help develop those of the future, benefiting consumers, business and government. Exploring how energy prices could be reduced in Scotland, in the context of proposals for a publicly owned energy company. Improving how consumer complaints are dealt with by postal operators. Increasing the affordability of water and sewerage charges for households that struggle to pay them. Taking forward our research to simplify the way in which consumers in vulnerable circumstances can register their needs with utility companies and other service providers.